Dr. Patricia Makokis is married to Eugene Makokis and mother to adult children Janice and James, and kokum (grandma) to Atayoh Kan Asiniy (Spirit Rock). The Makokis’ reside on the Saddle Lake Cree Nation. Pat. has been a front line teacher, a Vice Principal and a Principal. 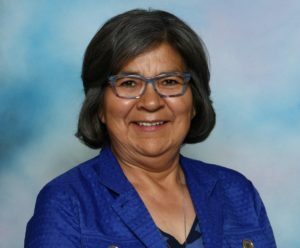 Most recently, she worked as the Director of Indigenous Programs in the Faculty of Extension at the University of Alberta. She just decided to semi-retire and is now a private contractor. She and husband Eugene are in the their infancy as “snow birds,” just having returned to Canada from Yuma, AZ. MA, PhD, has worked as a researcher and school mental health lead with the Sun Life Financial Chair in Adolescent Mental Health team at Dalhousie University and the IWK Health Centre since 2008. She is currently the assistant professor with the Department of Psychiatry at Dalhousie University and the interim director of the Chair team. Her research interest has focused on promoting mental health literacy in schools (both secondary and post-secondary settings) to help students achieve better understanding about mental health and mental disorders, reduce stigma against mental illness, obtain and maintain good mental health and enhance help-seeking behaviors. She has played a key role in school mental health research and program development, and has made significant contributions to the work of the team. Dr. Wei has received funding from various agencies such as the Canadian Institutes of Health Research, RBC Foundation, Medavie Foundation, Carthy Foundation and MaxBell Foundation. 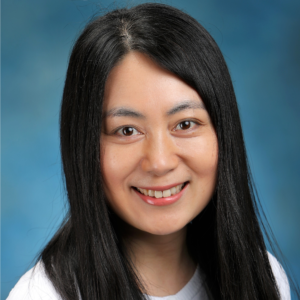 Dr. Wei has co-authored more than 40 peer-reviewed publications, book chapters and one book on school mental health. She has lead/co-led more than 30 school mental health projects, locally, nationally and internationally. She has also presented at the local, regional, national and international scientific meetings and conferences. Dr. Wei was awarded the Canadian Institute of Health Research Doctoral Research Award in 2011and the Dalhousie University President’s award in 2011 and 2012.